The ripe olive is one of the most versatile foods in the pantry. While delicious on its own, olives also add flavor to a number of dishes from soups and salads to appetizers and entrees. 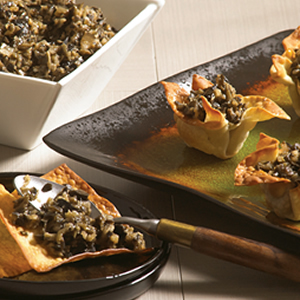 One dish, that features olives predominantly and is as versatile as its main ingredient, is tapenade. 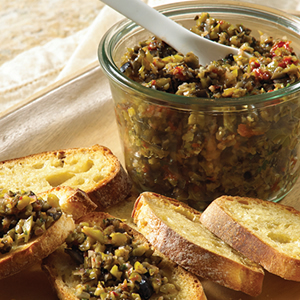 Tapenade originated in Provence, France, as a simple mixture of chopped olives, with various herbs and spices and is often used as a spread on crackers or a condiment. 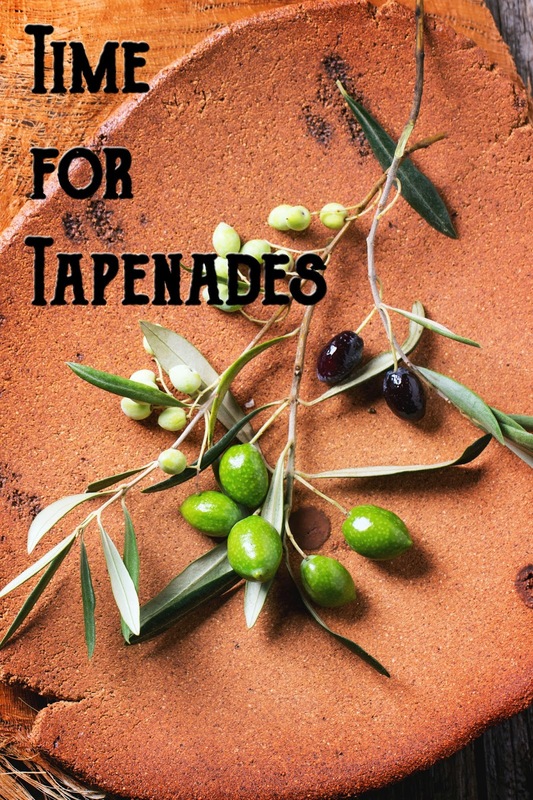 There are many different recipes for tapenade, and the first step is selecting the type of olive to use. Green and black California Ripe Olives are perfect because of their mild taste and ability to blend well with other flavors. 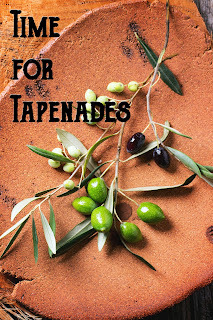 To ensure you are purchasing California Ripe Olives, check the label to see if they're a product of the U.S.
Tapenades are as varied as they are delicious, with consistencies that range from a spreadable paste to a chunky, salsa-like mixture. And their flavors can span the globe, from Greek and Mexican to Asian and French. A simple ripe olive base is all you need to create a world of flavor. 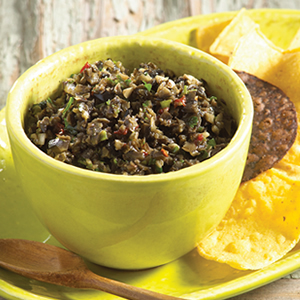 Here are three very different approaches to tapenade. The first is inspired from where the olives come from - California - and includes garlic, shallots and fresh basil. The second has a Mexican flair with chipotle peppers and fresh cilantro. Finally, it's East-meets-West with an Asian-inspired version that balances the mild olive flavors with spicy Sriracha and fresh ginger. For more recipes featuring California Ripe Olives, visit www.CalOlive.org. Drain olives well and place in a food processor with all remaining ingredients except chips. Pulse on and off until finely chopped. Cover and chill for 1 hour. (May be prepared 1 day ahead.) Serve with tortilla chips or use as a sandwich spread or in quesadillas or tacos. Place all tapenade ingredients in a food processor and pulse on and off until finely chopped. Cover and chill for 1 hour. Meanwhile for dippers, preheat oven to 400°F and line 2 baking sheets with foil. Cut won ton wrappers in half and place on baking sheets; coat with olive oil spray and season lightly with salt. Bake for 5 minutes or until golden brown. For cups, preheat oven to 350°F. Spray won ton wrappers on both sides with olive oil cooking spray. Press into 24 mini muffin cups, pressing all the way into the bottom. Bake for 10 to 12 minutes or until golden brown; let cool. Place shallots, sun-dried tomatoes, olive oil, vinegar and garlic in a food processor and pulse on and off until finely chopped. Add olives, basil, salt and pepper and pulse again until chopped. Cover and chill for 1 hour. (May be prepared 1 day ahead.) Serve with crackers or toasted baguette slices.